Every year the YSP (Youth Service Project) group travels somewhere to help others. They have traveled to places like New Orleans, Maine, and Chicago. And they have painted, built ramps, and performed many other jobs, all in the love of Jesus. There is another outreach project that is local and all year long. The Joseph Ministry is a group of volunteers that assist our neighbors when skill level, age, illness, injury, or misfortune prevents them from doing things around the house that need to be done. In the past two years, the Joseph Ministry has put in insulation, done minor electrical work, installed grab bars and hand rails, built a porch, small wheelchair ramp, painted, cleaned gutters, trimmed hedges, carried furniture, delivered food baskets, assembled a bed, changed locks, toilets, sink fixtures, light bulbs, and batteries. Like anything else in this congregation, this ministry happens through volunteers. 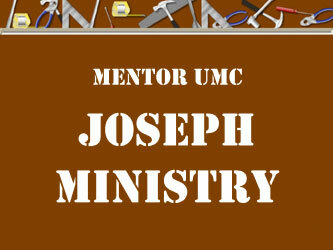 Joseph Ministries is always looking for volunteers that are ready to roll up their sleeves and get to work. Others may not be able to assist with the grunt work, but assist in other ways. There is always the need for building materials and tools. Gift cards to Lowes or Home Depot also are helpful. The ministry also needs people that can evaluate a job or show someone how to fix it themselves. The time commitment is whatever you have to give. An added benefit, you are able to meet many wonderful people while working on these projects. For more information, contact Larry Hoon by email at larryhoon@yahoo.com or call the Church Office at 255-3496.